Explore the Food Literacy Center website and their Food Literacy Month toolkits. 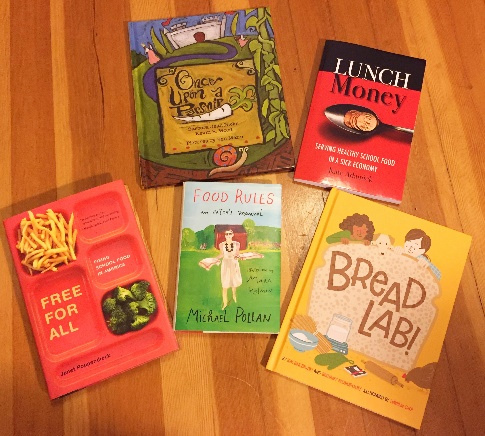 Find out about Readers to Eaters and check out some food-related children’s books to get your school year off to a good start: You Are What You Read! Explore the Whatcom Farm to School website for Harvest of the Month ideas and fun resources. Take an active role in promoting healthy eating in school cafeterias as parents, school staff, community members and volunteers. To sign up to volunteer in the cafeteria, classroom, or school garden, click here. Read the Food Literacy Month proclamation and come up with your own way to share food literacy with your children and/or classroom.